Displays default Candidate Registration form or link to Candidate Panel if current user is already logged in. Note: If you would like to make current page default Employer registration page then after placing the shortocode on page go to wp-admin / Settings (WPJB) / Default Pages and URLs panel and make this page default “Candidate Registration” page. How can I add a filed to this. I would like to add city, State and certification field. Hi, currently the candidate registration form cannot be customized i am afraid. Out of box i am afraid not, however you can download here a free add-on here https://api.wpjobboard.net/snippets/full-candidate-registraton.zip, it will replace the default candidate registration with the same form you can see in wp-admin / Settings (WPJB) / Custom Fields / My Resume panel ( + login and password fields). Hi, I moved to wpjb 5.0.1. Now I see full resume formon the registration page. 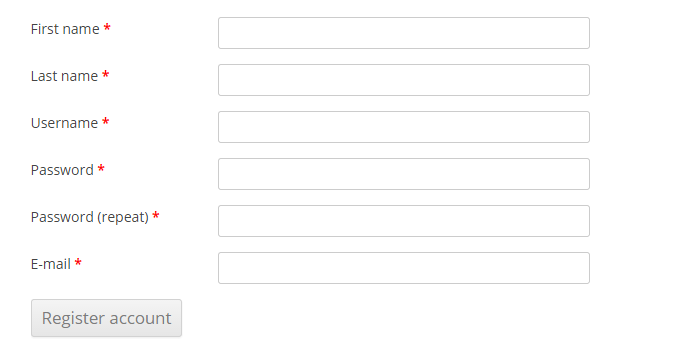 Can you please explain how to have again the simple registration form like in 4.5 ? Best would be tohave in thewpjb settings for resumes an option to define if users wants to have the full registration form (like resume) or the original one with only name and email…. The only way to do that is to revert back to version 4.5.1, w removed the short registration form due to multiple complaints from users that this results in having many unfinished resumes in the database. What WPJB version are you using? Since WPJB 5.0 the candidate registration form shows the whole My Resume form and you no longer need the Full Candidate Registration snippet, in fact you should remove the snippet.